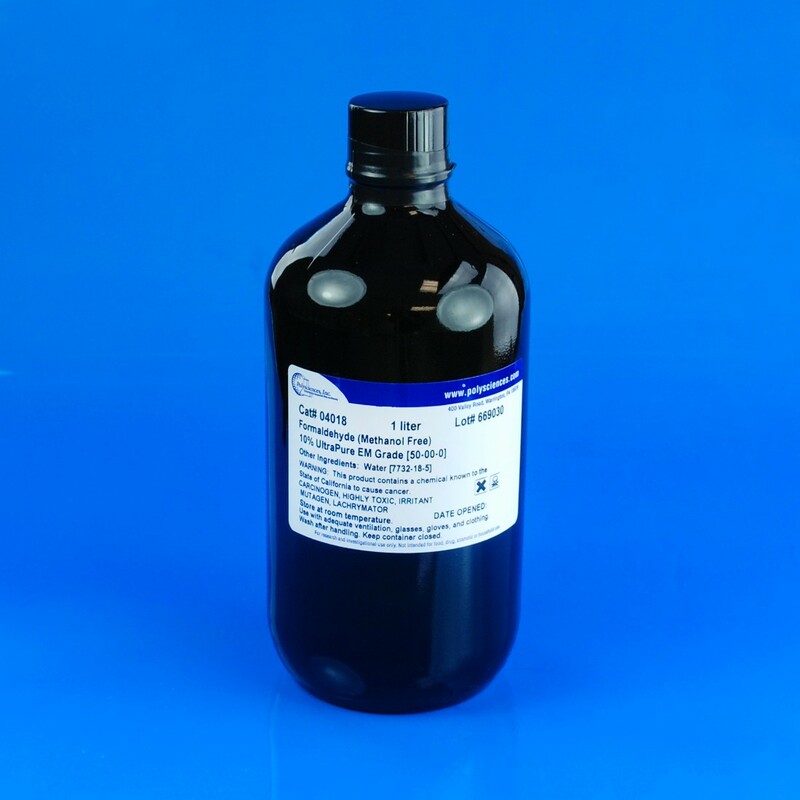 Formaldehyde, 10%, methanol free, Ultra Pure | Polysciences, Inc.
Ultra pure, methanol free,10% aqueous formaldehyde is suitable for both electron and light microscopy. Easily penetrates large blocks of tissue. When used in combination with glutaraldehyde, it fixes delicate tissues such as brain in vascular perfusion. Eliminates the step of depolymerization paraformaldehyde prior to use. Use in Karnovsky's fixative in conjunction with your own buffer system. Source of the formaldehyde is paraformaldehyde. Store tightly sealed at room temperature as exposure to air encourages the oxidation of formaldehyde to formic acid. Cold temperatures storage encourage the formation of trioxymethylene, a white precipitate.